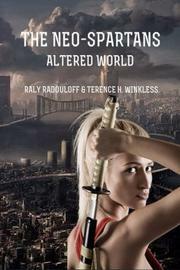 In this debut novel, Radouloff and Winkless provide a cautionary tale of consumerism, greed, and complacency. In the far future, mankind is split into two groups: the Eugenics, who subsist on “modified” food that’s slowly ruining their bodies, and the Neo-Spartans, who refuse to give in to the corporate regime. The latter group grows their own organic food and trains to protect itself from its oppressors. The Eugenics are slowly declining and have to have babies via test tube, while the Neo-Spartans are robust and healthy. Young Neo-Spartan Quinn is tasked with the responsibility of caring for her younger brother, Gabriel, who has an extreme allergy to the modified food. When Gabriel and some other Neo-Spartan boys are kidnapped while performing parcours stunts (all physical activity is outlawed), Quinn must prove herself to her community by finding her sibling and discovering why he was taken. To do so, she must enter a place called the Sanctuary and fight in tournaments to blend in while scouting for information. Readers can appreciate the novel’s underlying message of rallying against consumerism and going against the majority. However, its delivery is heavy-handed, favoring the Neo-Spartan way of life without acknowledging any benefits of technological advancement. The prose is also littered with clichés: “She was, in that moment, not just a fish out of water, but the original tabula rasa.” The authors confusingly refer to one minor character as Paul then, later, as Peter. Also, every time the 17-year-old female protagonist meets a male character who isn’t her brother or mentor, there’s an unnecessary amount of sexual tension. This book is recommended only for devoted fans of dystopian YA fiction. A sci-fi tale with an intriguing premise but lacking character depth and self-awareness.